Limited Edition Valentine's Day - "Stessyf"
I am in love. 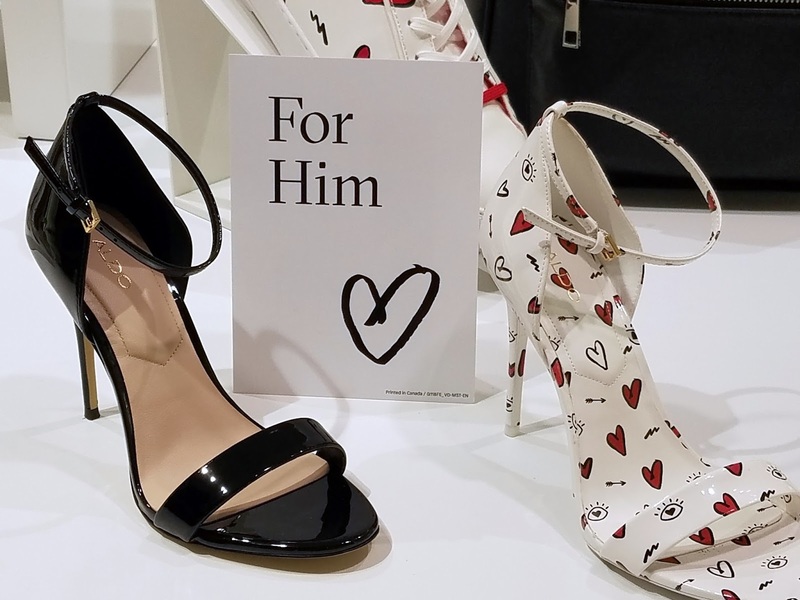 The ALDO shoe company has a collection of shoes and accessories for Valentines. 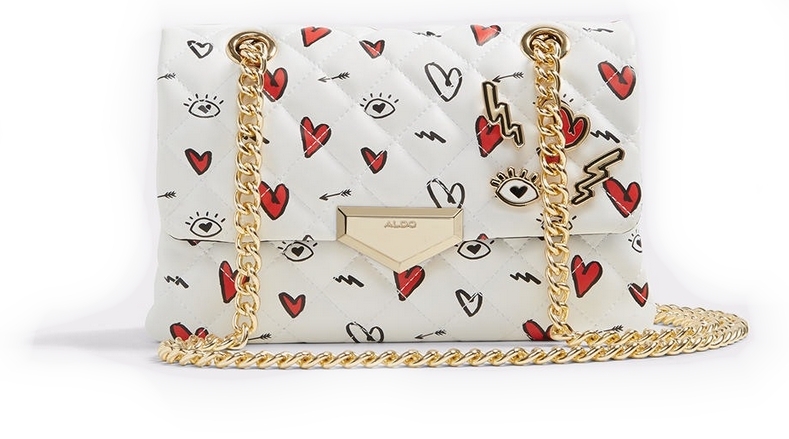 As they describe it: "Set your heart on fire in limited edition styles." Works for me. 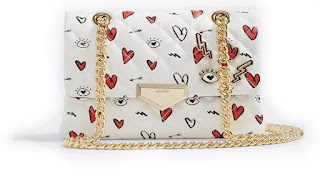 The Limited Edition Valentine's Day Collection includes the pumps (above) a matching purse, (shown) sneakers - oh so cute, red fabric sky high heels, a scarf, and many other cute accessories. ALDO sells men's shoes as well and offers the Roenia Valentine's Day sneaker to both men and women, showing men's sizes on their site. Yesterday while in their mall store in Palm Beach Gardens, I did a little creative rearranging of their "For Him" sign. You can see the sneaker behind. In my altered universe - not just for women! What a cute heel and for my taste, I like more the Brandii ankle strap heart printed sandal (also in black). Not just for girls anymore. After rearranging the sign and taking the photo, I got a big smile from the store manager as I left the "For Him" in front of the heels. At least check out the sneaker. I anyone ask, "Men's". I dare you.